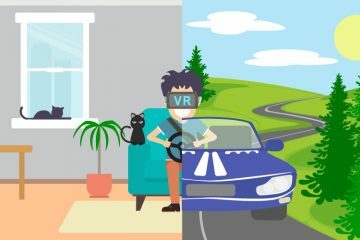 In just a few short years, Augmented Reality has become a part of everyday living. 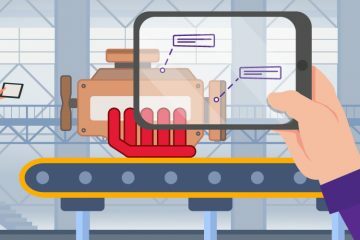 More than ever, businesses worldwide are increasingly recognizing the value of supplementing their marketing efforts with AR. 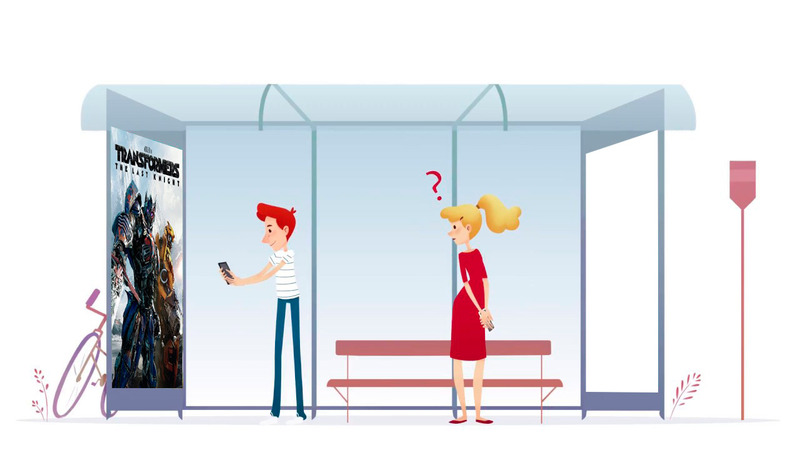 An example is Paramount Pictures, whose Home Media Distribution Division recently released an AR app to promote an about-to-be released new film. The app includes content from Transformer: The Last Knight, which is the latest film in the highly successful franchise based upon Hasbro’s Transformer toy line. Players control Bumblebee, Transformers’ iconic autobot as he moves around fugitive Cade Yeager’s junkyard striking, blowing up and destroying digital objects superimposed on the user’s physical surroundings. The new Transformer app coincides with Paramount’s re-release of several Transformers films in 4K Ultra HD, including 2007’s original Transformers, along with franchise sequels Revenge of the Fallen (2009), Dark of the Moon (2011) and Age of Extinction (2014). The Transformers AR app for iOS devices can be downloaded free from the App Store through February 20, 2018. AMC is another well-known brand that uses augmented reality to promote their products. AMC is planning to release a new interactive AR game called The Walking Dead: Our World based upon their highly successful Walking Dead television series. The game is being developed by Next Games Studios of Finland who also created the mobile strategy game The Walking Dead: No Man’s Land, which according to Next Game has been downloaded more than 16 million times. The Our World game is being described by some as a gruesome version of Pokémon Go, with digital characters fighting the undead with guns, grenades, swords and anything else at hand in an environment overlaid on the player’s physical surroundings. The Walking Dead: Our World will be available for both iOS and Android devices, although a launch date hasn’t been announced. Walmart recognized early on that augmented reality provided an effective means of increasing sales by enhancing visitors in-store shopping experiences. 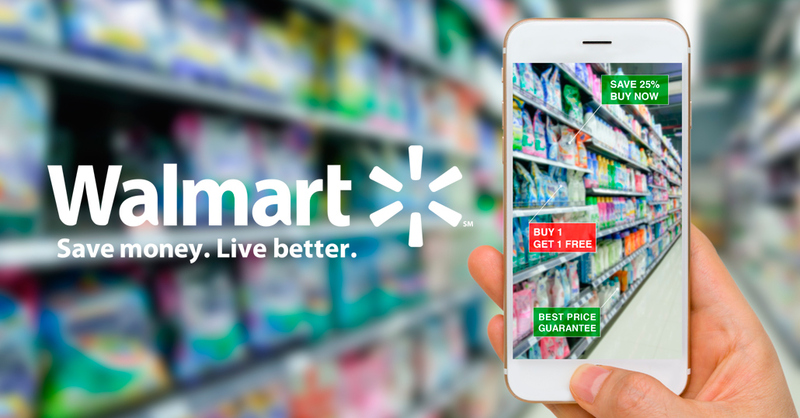 The retail giant has been acquiring AR related patents for systems intended to promote sales by making it easier for shoppers locate items within Walmart’s huge Supercenter retail outlets. An example is a patent granted in 2016 is for Customized Impulse Shelves, which will send digitally notify shoppers as they approach shelves stocked with soft drinks, candy, magazines chewing gum or other inexpensive items that are often bought on a whim. Another Walmart patent combines in-store location tracking technology with the customer’s shopping history to alert them of specials and send reminders to pick up certain products. McDonald’s has been using augmented reality to promote sales for the past several years. In 2013, McDonald’s Germany launched McMission, which was a campaign that used a series of AR mini-games to promote resource sustainability and environmental awareness. McDonald’s UK used a Blippar-based mobile AR app during the 2016 Christmas season that digitally brought traditional advent calendars to life. Another AR app-based promotion McDonald’s has used in various locations is based upon the classic board game Monopoly. Players scan game pieces to see if they have won a prize ranging from free food to cash. On a much larger scale, McDonald’s used an augmented reality app called GOL!, which was centered around the 2014 FIFA World Cup Championship. After scanning specially designed fries containers, customers were challenged to score trick shot goals on a digital playing field superimposed over real world surroundings. During the campaign, more than 1.5 billion of the specially designed GOL! containers were given out at 35,000 McDonald’s locations in 119 countries throughout the world. LEGO, the world’s largest toymaker, entered the world of Augmented Reality playthings in 2013 with the introduction of Fusion, a toy that combined the iconic colorful building blocks with AR technology. 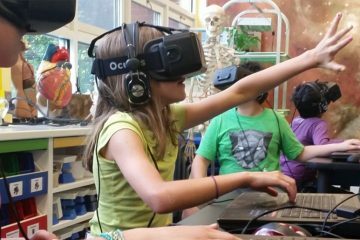 Fusion’s purpose was to inspire children to be proactively involved with physical playthings enhanced with digital technology. Although production of Fusion was discontinued in 2014, LEGO remains actively involved with Augmented Reality, including Worlds, which the company introduced in 2015. Worlds players use their imaginations to create unique environments using individual digital LEGO bricks and completed LEGO models. Originally released in a beta version in 2015, Worlds is now available throughout Europe and North America in versions compatible with Microsoft Windows, Xbox 1, PlayStation 4 and Nintendo Switch. Toys R Us recently introduced an AR app intended to persuade customers to visit their bricks and mortar locations rather than shop by computer. After downloading an app, Toys R Us mascot Geoffrey greets customers with instructions on how to unlock activities at each of the 13 stations located through the store. Guided by flashing icons and directional floor markers, shoppers point their digital devices at a sign on a display, which makes an activity or toy spring to life on the screen. As an example, a virtual doll on a shelf can be named and “adopted”, or in the sporting goods aisle, a player can shoot virtual hoops with a swipe across the screen. Each activity allows users to accumulate stars, and the more stars earned, the more AR activities they’re able experience. 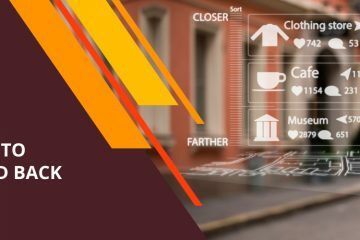 Look for these and other innovative retailers to increasingly use augmented reality to boost sales and gain market share. It is a good idea for movies advertising.